Felix Rosenqvist suffered heartbreak in the Formula E Mexico City E-Prix on Saturday, coming to a halt while holding a solid lead from pole position in the early stages of the race. 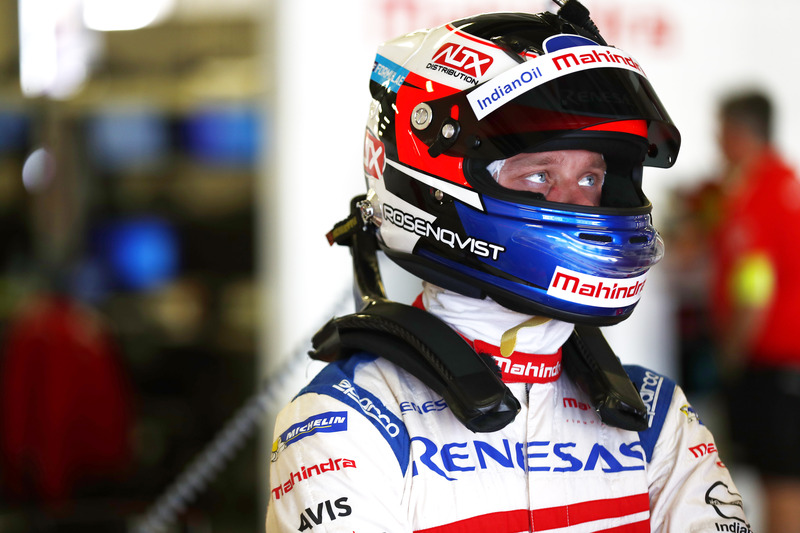 After storming to his second pole of the season (and the fifth of his Formula E career) in qualifying at Autódromo Hermanos Rodríguez, Rosenqvist quickly powered away to a four-second lead in the race, building a convincing gap while simultaneously hitting all of his pre-event energy targets. It wasn’t long until disaster struck, however, as the Swede’s Mahindra Racing machine ground to a stop at the final corner on lap 14 out of 47. Rosenqvist initially managed to reset and carry on, but soon ran into further issues and dropped to two laps behind the leaders. He returned to the pits to change into his second car, but eventually retired for good. Team-mate Nick Heidfeld suffered a similar fate and also retired, making the Mexico City E-Prix a race to forget for Mahindra Racing. The squad still retains second in the teams’ standings, however, while Rosenqvist keeps the same position in the drivers’ championship where he now sits 12 points behind leader Jean-Eric Vergne (who finished fifth in Mexico). Up front, Daniel Abt got to celebrate his first-ever Formula E win, with Oliver Turvey finishing second and Sébastien Buemi taking third. Mahindra Racing is currently investigating the cause of the issues that struck Rosenqvist and Heidfeld respectively. On a more cheerful note, the race at least marked one positive “breakthrough” for Rosenqvist, as he received FanBoost – universally voted for by the fans and dealt out to three drivers in each race – for the first time of his Formula E career. His pole position in qualifying also netted him three crucial championship points. The Formula E title battle rages on in two weeks with the Punta del Este E-Prix in Uruguay (March 17). The seaside track returns to the Formula E calendar after a one-season hiatus, which means Felix Rosenqvist – now in his second campaign of the all-electric championship – will tackle it for the first time.